Once downloaded, we need to install the software. First, let's open the file we have just downloaded. 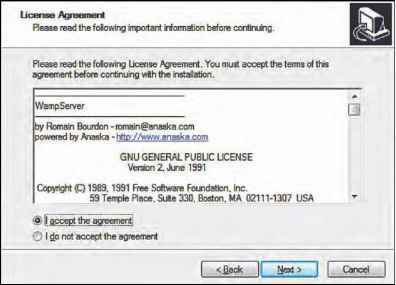 We may need to agree to some security dialogues before Windows allows us to install the software. You must be logged in as an administrator to install WampServer. The first window to be displayed warns us that we shouldn't try to upgrade from a previous version of WampServer and that we need to uninstall the older versions if any. Now, let's click on Yes so that the installation can continue. Next, we are presented with the installation splash screen; here, we need to click Next. Then we need to select the I accept the agreement button before clicking the Next button. 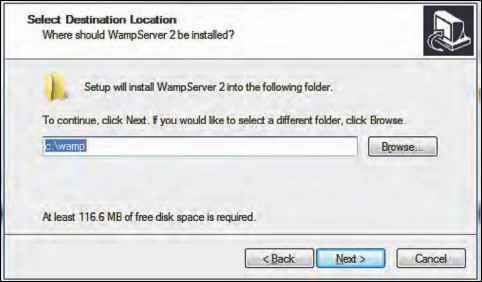 Now, we need to select the location where we wish to install WampServer. If we are happy with the default location, we should click Next; otherwise, we should change the location first. 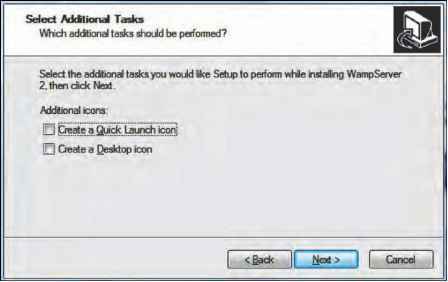 If we wish to add shortcuts to WampServer to our desktop, or to the Quicklaunch toolbar, we can do so by selecting the appropriate checkboxes before clicking Next. Before WampServer is actually installed, we are shown an overview of the options we have selected. We can click Install provided everything is fine, otherwise we need to click Back and make the changes if any. 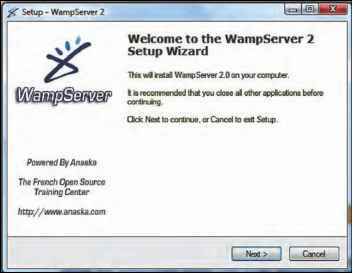 Setup is now ready to begin installing WampServer 2 on your computer. Ock Install to continue with the installation, or click Back if you want to review or change any settings. 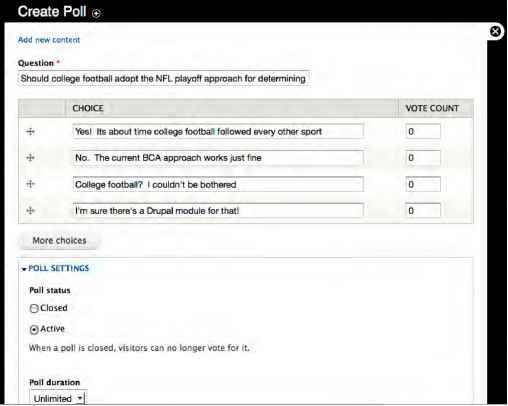 Once the installation has completed, we are asked to confirm our primary web browser. By default, it selects the Windows Internet Explorer; if we are happy with that, we should click Open, otherwise we should look for an alternative browser. Next, the installation asks for the details for sending mails from PHP. On most installations, we won't be able to send mails from PHP scripts because we have no mail server installed; so just click Next. We now have WampServer installed; if we click Finish WampServer will start. Apache not starting? If WampServer doesn't start (the icon in the system tray will show red or orange) it may mean that something else is utilizing the computer port (Apache runs on (port 80) and programs such as Skype do this). So you may need to close other applications before trying to start WampServer.